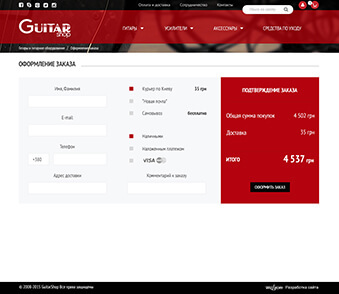 The Guitar-Shop provides beginners and experienced musicians with excellent quality tools, choice assistance and convenience of ordering. 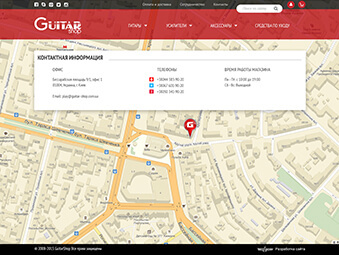 All guitarists will always be able to find their muse here, thanks to the most complete range of well-known brands and all the necessary accessories. 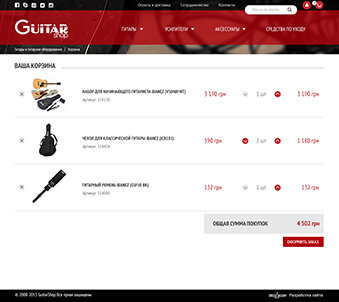 Create a stylish, convenient and competitive online music store. 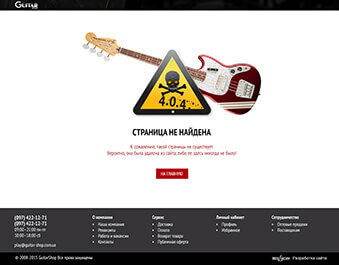 Red-black color scheme will give the site fatal aggressive style and at the same time pleasantly juicy look. 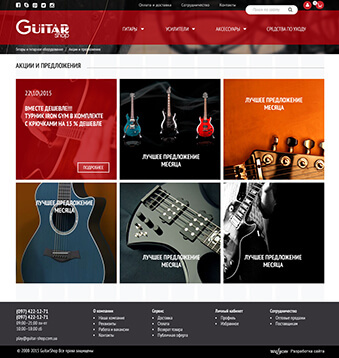 Online store Guitar-Shop is designed to help fulfill the dream of a good instrument while sitting at home on the couch, as well as to fill the empty niche of the beautiful online music stores. 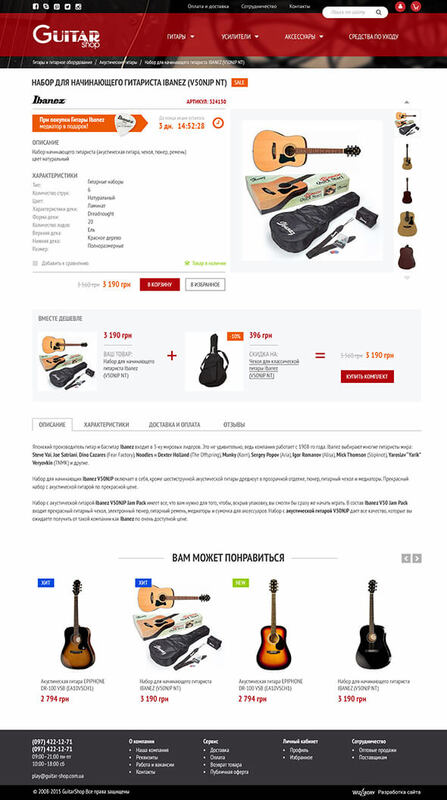 At first glance, the store begins to tickle the receptors of the pleasure of musicians with a pleasant look, attractive offers, desired brands, and of course, beautiful guitars. 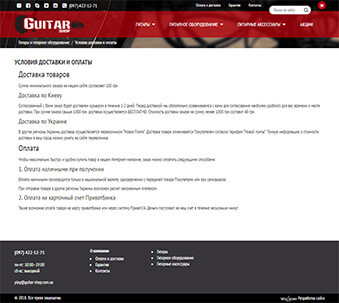 The development of a recognizable logo was included in the kit. A guitar is not the only lust of a guitarist. 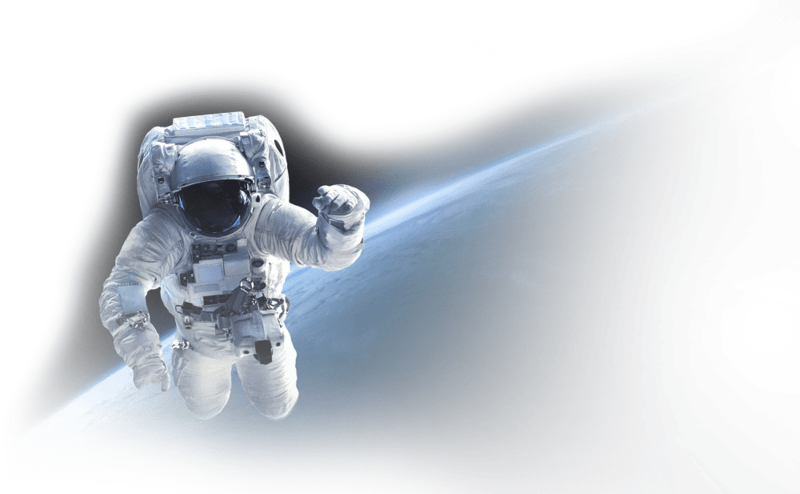 Equipment and accessories are constant satellites. 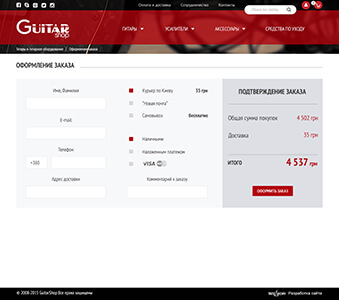 Also there are a lot of breeds of guitars on the site. The catalog, as always, constantly carries the service of organizing all these species and subspecies with the ability to quickly search by filters. 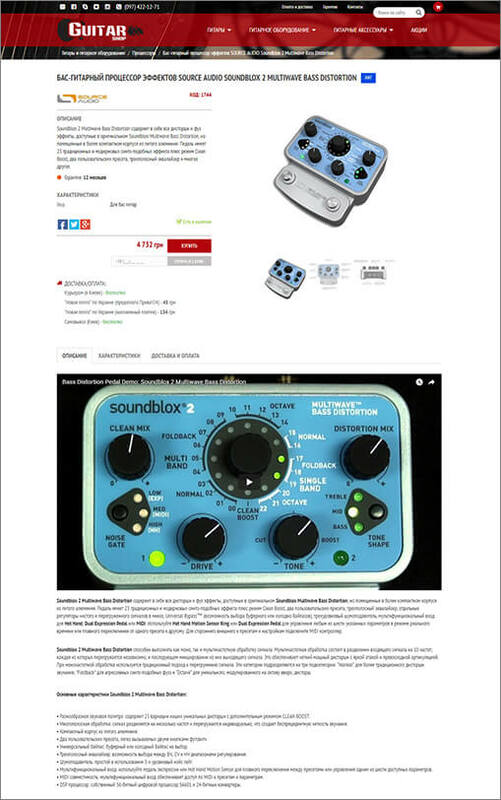 The product page has a great mood: great product photos, descriptions and specifications, a product video, and related accessories. 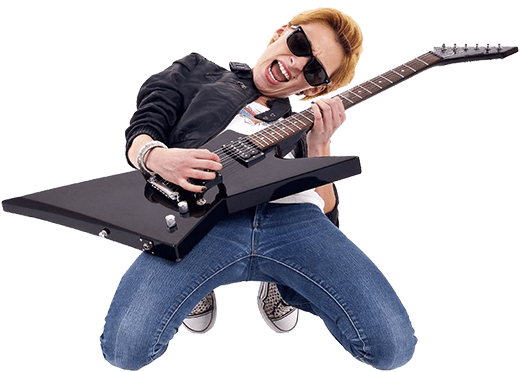 There is all for even a beginner guitarist immediately realized what he needed to buy in order to become second Lennon, Hendrix or Jimmy Pop. 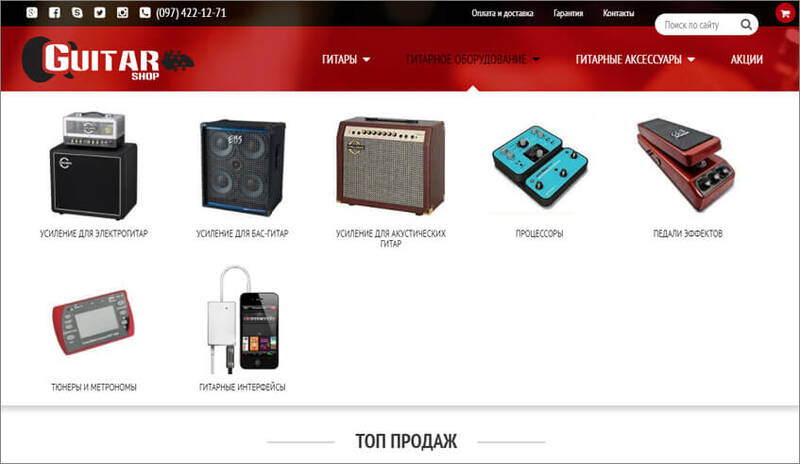 Traditional contacts, payment and delivery, promotions, a basket page, and even a mistake page have their ROCK charm.